I reviewed 3 samples sent to me via Reddit, by Texacer. Below are my scores ; however, they are listed order of what I would actually purchase and not the standard high to low layout. Aberlour was the star of the show—bar none. It wins simply based on its overall quality verses price. Second prize goes to: Lagavulin Distiller’s Edition – 1991. And bringing up third place is Talisker D.E. The nose has bits of toffee, brown sugar, caramel, and delicate notes of fruit—apple being the dominate. Burnt sugar wafts up from its depths at random moments making this whiskey quite intriguing and complex. Aberlour 12 carries all the distinct presence of bourbon on the nose without the overly sweet harshness that often comes with such a Kentucky dram. Aberlour is a complex and layered flavor that initially greets the pallet with honey that ultimately transitions to a finish of fruit–specifically apple. The body contains very light notes of caramel. The mouth feel is warm and velvety. A delicate spiciness rolls about on the tongue that lasts far after the initial flavors have long departed the pallet. A slight bit (and I mean slight bit) of sweetness long lingers as well; however, I wish it was a touch less. I am sure the older version of this dram rectifies this situation. This was the first time I had ever tasted Aberlour 12 and I have to say that I am impressed. The balance on this dram is perfect and that’s saying something for a younger whiskey. Each part of this dram transitions with perfect balance from one note to the next. 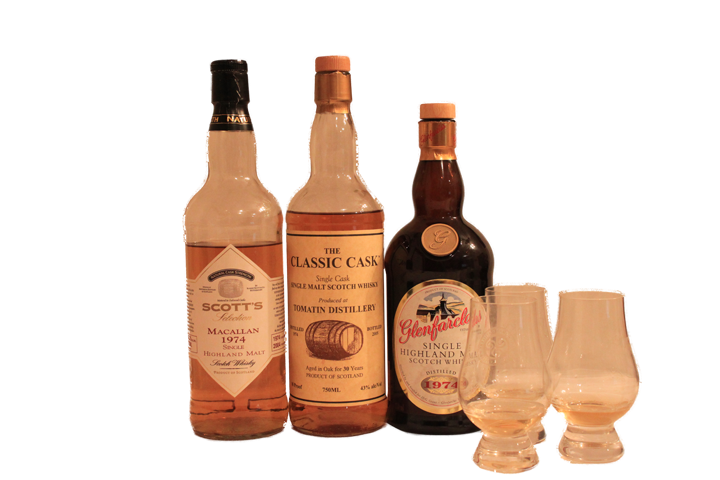 The sweet never overpowers and there are almost none of the astringent notes many young drams suffer from. This, in many ways, reminds me of older Highland Park. Aberlour 12 makes the list for a “must have” for the whiskey shelf. It was definitely my favorite of the list overall if you take price into account. Some places offer this bottle for as little as $35.00 online. 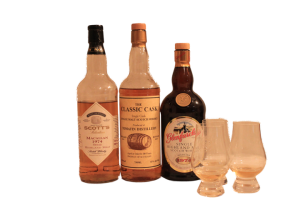 In the midst of a scotch craze it is almost impossible to find anything worthy under the $50.00 mark. If I were rating this scotch solely on quality based on price I would score it at a 93; however, I am going to be a little less biased and rate it blind at 88. This score would have been a 90 had the sweeter notes on the finish been somewhat muted. The nose on this one is an Islay monster – A campfire by the sea; notes of hickory and honey are eclipsed by Strong notes of smoky barbecue and brine that combine to a wonderful nosing experience—the best of the lot, hands down. The initial flavor is a smoky bombshell. Hickory smoke dominates with notes of campfire ash. The body is something more akin to your standard Islay experience. Honey wells up and transitions into flavors of oatmeal cookie. Notes of sea spray layer into a moody and unique Islay experience—a bit of sipping is required to decipher the complexity of this firecracker. The finish dovetails nicely with a bit of prickling heat on the tongue. Traces of honey and spice bred linger on the pallet. Compared side by side, the Lagavulin 16 is outclassed to say the least. The nose of the Lagavulin 16 is downright anemic in comparison. The notes of hickory are still present on the 16; however, it has much less complexity (especially on the body and finish) than the D.E. I very much enjoy the D.E. far above the 16; however, I still think (within the Laga line) I would prefer the 12 year old Cask Strength. That being said, the D.E. is a worthy edition to any collection and I would not shy away from it. The nose is soft and quite muted; I detect only faint hints of honey and fresh bakery bread. Notes of ripe melon also interplay, and form the softest of the aromatic notes. opening notes as a perfect velvety mouth-feel play across the tongue. Very soft citrus fruit switch gears and reveal the prickle and heat of a cask strength beasty. A soft peppery finish of the classic Talisker is then revealed–a wonderful dram! 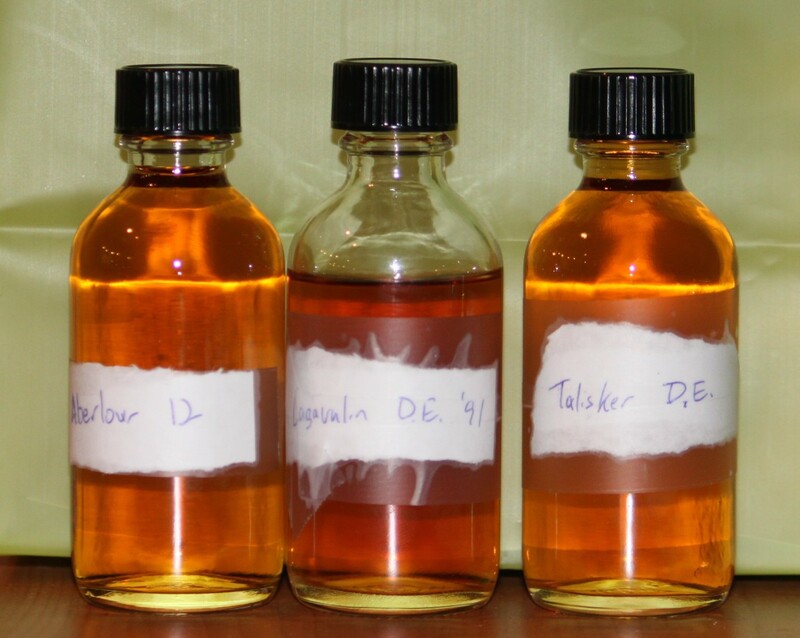 This is rich full bodied Talisker that outshines the standard release. I like this quite a bit and would love to see it on my shelf.